Based on the latest Smart City ambitions - cities are interested in tapping into the growing breadth of sensor and mobile-source data and accompanying analytics platforms that have the promise of improving the ability of cities to make data-driven and informed performance evaluations and transportation investment decisions with the most current data possible. However, current data collection methods on travel and transportation infrastructure are generally inefficient. They are either resource-intensive or time consuming, leading to infrequent analysis or analysis based on small sample sizes or outdated data. The municipality’s ability to quickly respond to emerging needs is therefore extremely limited by existing data collection and evaluation techniques. 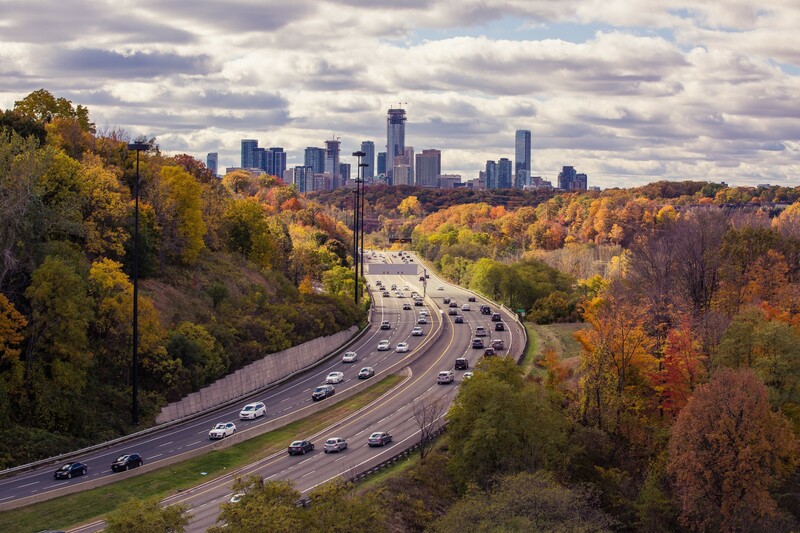 With rapidly evolving transportation technologies, public and private entities have developed and are continuing to create many new data collection and analytics opportunities. Big data applications have the promise of efficient analysis on significantly larger samples with more detail on why and where people and goods are traveling. Cities anticipate that these advanced technologies can help in addressing it’s multi-modal performance management needs greatly. Big data applications have recently started to emerge in the public space and are being tested compared to existing tools and models, which have been tested over decades of application and refinement among transportation professionals. Innovative data-based analyses and emerging data sets are generally based on some kind of Artificial Intelligence and can be adopted as standard practice. The need for robust data on the transportation infrastructure in the city is paramount to better understand performance and improvement needs and support informed and effective investment decisions. New funding opportunities bring an increased need for multi-modal performance measurement for the transportation systems and at the same time there is a new generation of tech that enable dynamic data collection and analysis. With advances in sensor technology and computing capacity, there is a significant opportunity to understand infrastructure performance in near real-time and to respond to any questions on transportation issues with much more detail than in the past, at a much faster rate, and in a cost-effective manner. 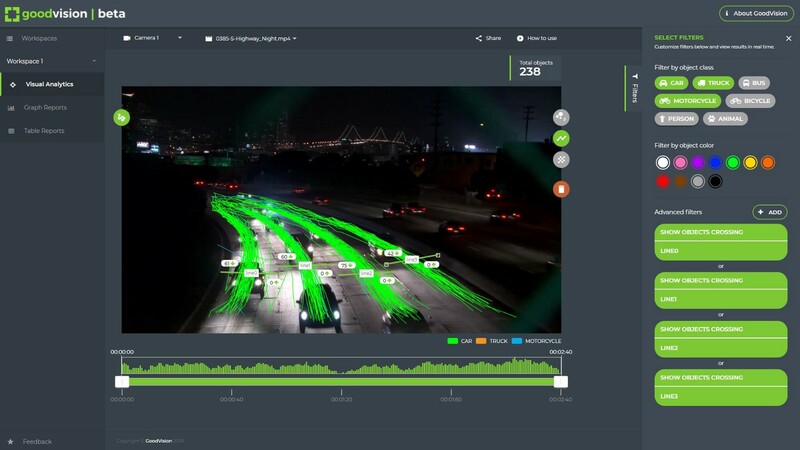 At GoodVision, we are thrilled to provide the public traffic analysis service GoodVision Video Insights that leads to a state of the art data-analytics platform working with the current standard traffic surveillance cameras out there. It helps to better understand infrastructure performance and travel patterns to enable city agencies to understand and effectively address transportation issues anywhere. The ultimate intent is for cities and GoodVision to be able to use our data analytics platform to make informed and data driven planning, funding and project development decisions that best utilize the county’s rich multi-modal infrastructure to enable greater multi-modal mobility and improved throughput of people and goods in cities worldwide. GoodVision Video Insights is the autonomous data retrieval cloud service providing highly reliable traffic data from standard surveillance cameras via Artificial Intelligence. It provides advanced data analytics, data visualization and managerial reporting – all in a single platform covering the whole process of operation from data collection to decision making. GoodVision Video Insights incorporates deep learning and cloud-computing for rapid extraction of events from the camera recordings. It provides reusable source of analytic data for decision making in the city and a visual analytic tool to get the actionable information out of it. Can you imagine analyzed data reports from yesterday’s traffic from your whole city await you at your desk like a morning newspaper? That’s what GoodVision is for. Learn more at goodvisionlive.com and try the free DEMO.